Cantavieja – Vignemale | 254 km. 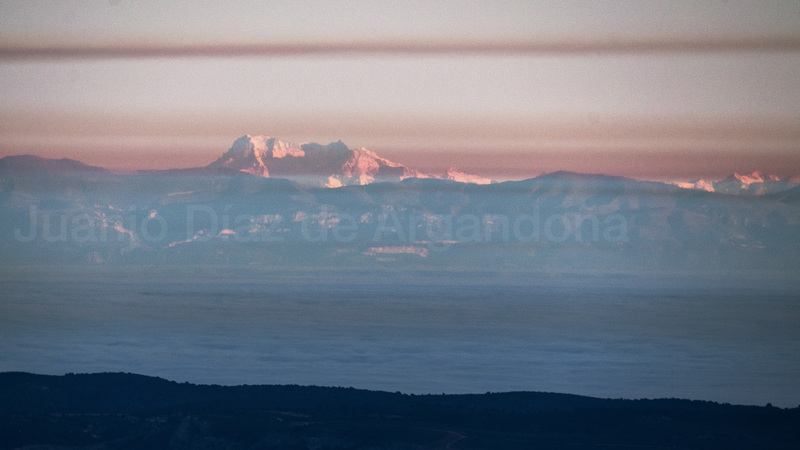 The highest peak in French Pyrenees, photographed from South of Aragon province. 255 kilometers covered in a single picture to cross frontiers above the plains around Ebro river. Cantavieja – Posets / Maladeta | 257 km. Another picture from the Historic day of 23rd of December, 2014. This time, the area around the highest peak in Pyrenees, and the third in height of Spain, Aneto at 3.404 meters above sea level. 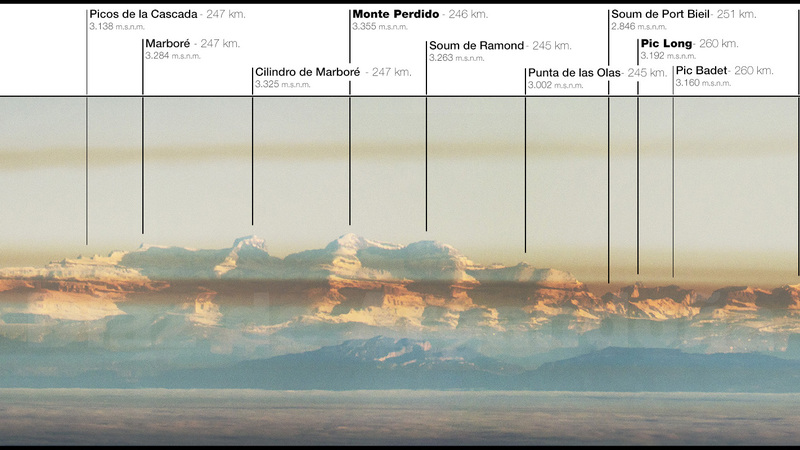 Cantavieja – Monte Perdido | 260 km. In distant photography there are good days, and there are days that go to History. 23rd of December, 2014 was one of this days, as being ultra – clear. Covering distances up to 260 kilometers in a single picture, maintaining the details as the picture above does can only be achieved in a day with perfect conditions. Panoramic composite of two pictures, taken at 400mm. focal distance (eq. 35mm) and after a heavy developing to bring out detail. Click to enlarge. 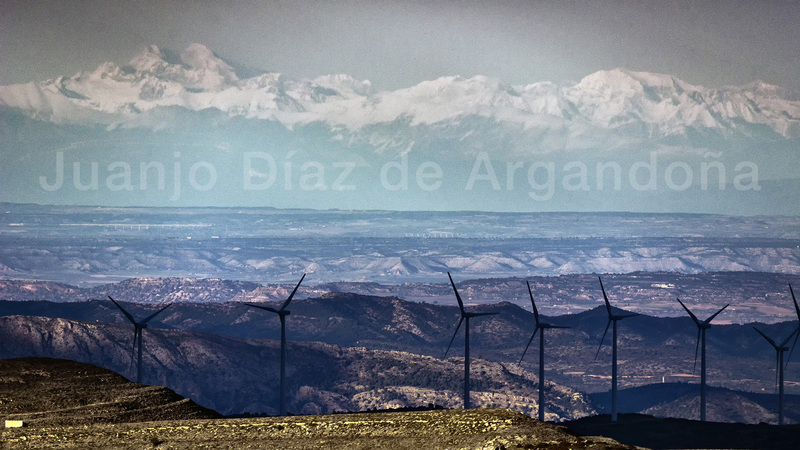 Puigmal, one of the most emblematic mountains of Catalunya, with its unmistakeable shape and white snowy top, 292 km. 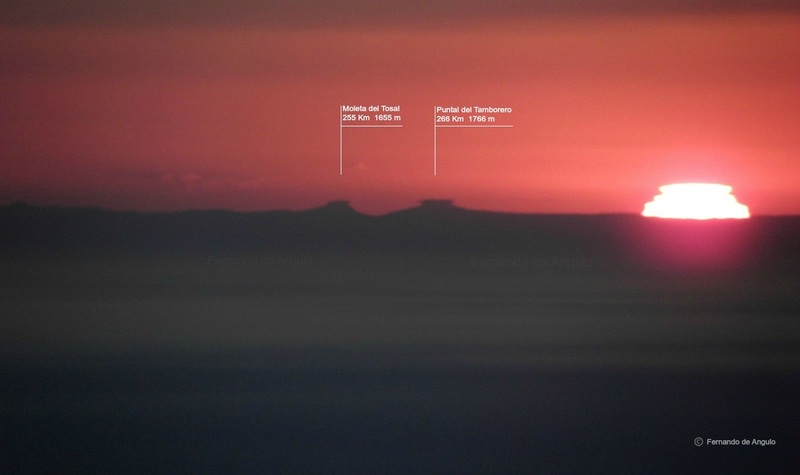 from my eyes, seen across the Mediterranean sea and Catalunya plateau. 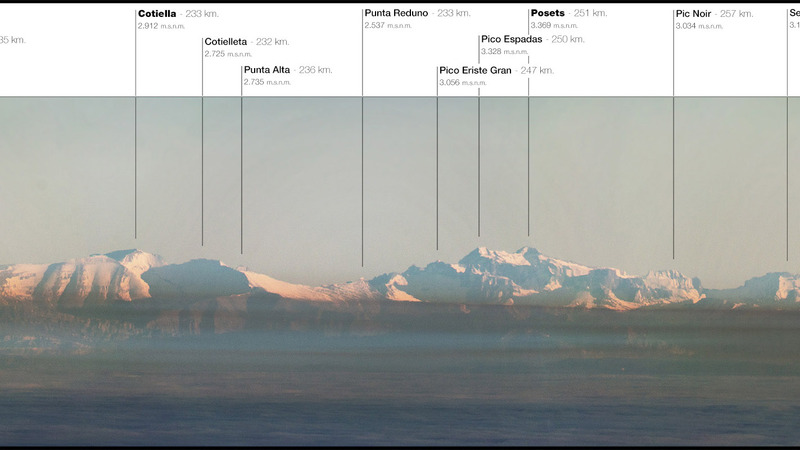 Cantavieja – Posets | 251 km. Clear air conditions above Ebro river and surrounding areas allowed to cover more than 250 kilometers and still mantain details of Posets peak and Perdiguero peak on the right side of the image. 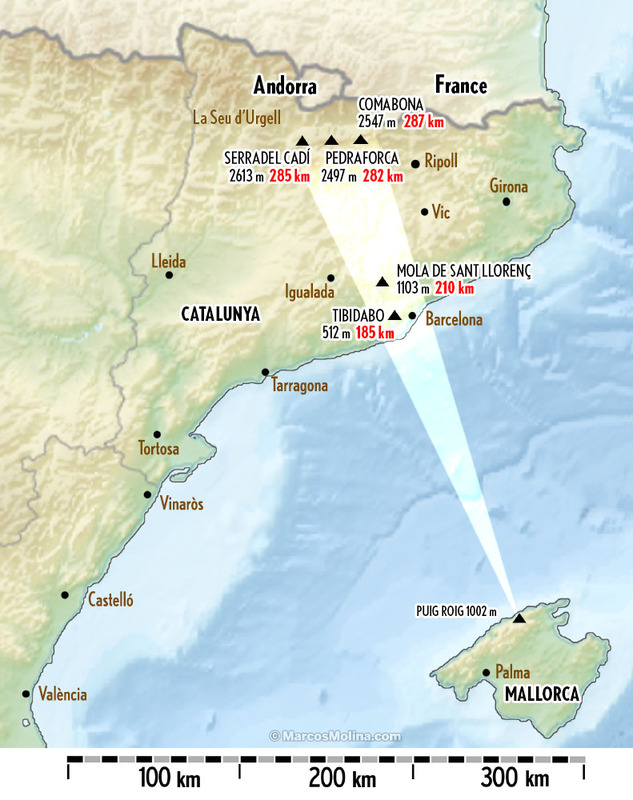 Mallorca – Montserrat / Pyrenees | 290 km. Panorama composite of 3 horizontal photographs. Click to enlarge. 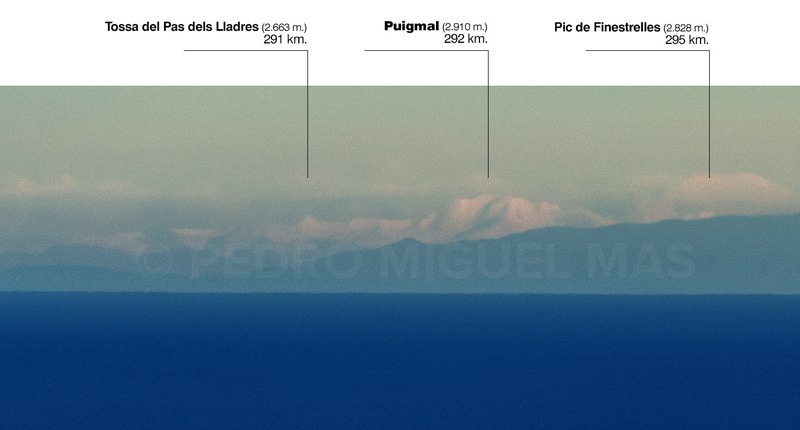 The well-known Montserrat silhouette and the snowy Pyrenees mountains much farther behind, as seen from Mallorca, crossing the Mediterranean sea and entire Catalonia for 300 km. View spotted from Puig Roig summit (1002 m.) at Tramuntana hills.